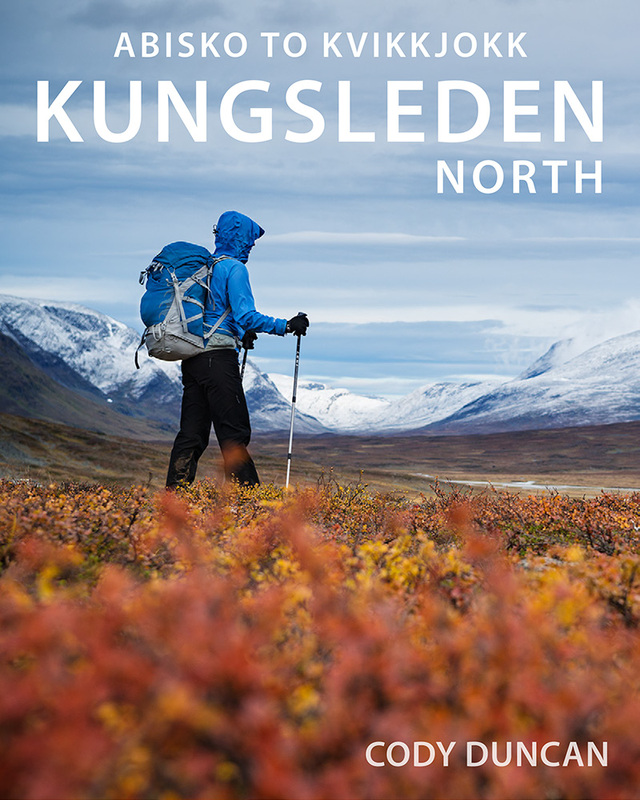 The way in which you reach the Kungsleden is largely dependent on which section of the trail you are planning to hike. This can be as simple as round-trip flights to Kiruna if you are hiking the Abisko to Nikkaluokta northern loop, to somewhat complex combinations of trains and busses to reach the more remote areas along the trail such as Kvikkjokk or Ammarnäs. If you have already decided on which section of the trail you are hiking, then I will use the same overview as in that article and split the Kungsleden into 3 main sections. RESROBOT is a website which covers all transportation in Sweden. It is useful for checking timetables and travel planning without having to go to the individual bus, train, and airline websites. 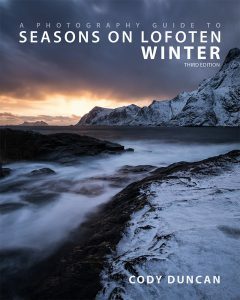 Due to the multitude of options for reaching northern Sweden, I highly recommend using this resource in your travel planning, as I can only provide a rough overview of all the possible routes. You can also manually see the scheduled bus routes on the bus websiteS. When possible, I have listed the relevant bus number. If traveling with a combination of train and bus, it is best to book your full journey through the Swedish SJ train website. Taking the night train from Stockholm can be a useful way to get yourself to the north by morning (Gällivare) or afternoon (Kiruna and Abisko) the following day. The same applies for the journey south. Kiruna is the main transport hub in the north of Sweden and will be your likely arrival/departure destination from/to locations outside of Sweden. If you are only hiking the northern loop of the trail, then Kiruna will also be your transport hub north to Abisko – bus or train, or west to Nikkaluokta – bus. Kiruna is serviced with numerous daily flights from Stockholm, the daily night train from Stockholm, a train from Narvik, Norway, as well as numerous other regional buses. Depending on the season and where you are traveling from, an overnight in Kiruna may be required on arrival or departure from the hike. If you are entering/exiting the trail at some of the southern points: Vakkotavare, Saltoluokta, or Kvikkjokk, then things get a little more complicated. Gällivare will be your transport hub for Vakkotavare or Saltoluokta, where bus, train, and air connections can be found. Kvikkjokk will require additional transit via Murjek/Jokkmokk, with continuation via bus or train. If traveling with a combination of train and bus, it is best to book your full journey through the Swedish SJ train website, as there is insurance included should the train be delayed and you miss further connections. Taking the night train from Stockholm can be a useful way to get yourself to the north by morning (Gällivare) or afternoon (Kiruna and Abisko) the following day. The same applies for the journey south. Kiruna is the main transit point for Abisko and Nikkaluokta. Kiruna is a long ways north, so flying is generally the recommended option. SAS airlines operates multiple daily flights from Stockholm. From Kiruna airport, bus transport is available to the central bus station and train station for further transit. Note, this bus does not meet with every arrival, particularly late night arrivals, at which point a taxi might be necessary. A daily night train from Stockholm also runs to Kiruna. Leaving Stockholm around 16:00, and with a stop at Arlanda airport, the train reaches Kiruna the following morning around 09:30 (and continues on to Abisko/Narvik) this can be a convenient way to reach the north if you would otherwise be required to overnight in Kiruna due to a late arrival. From Kiruna train station, a bus connection is available to the central bus station, where further transit to Nikkaluokta is available. There are multiple local bus connections to Kiruna. However, if originating from outside of Sweden, flying or the train is a better method to get north. Bus number 92 connects Kiruna and Nikkaluokta. During the seasons there are 2 departures daily from Kiruna and Nikkaluokta: morning and afternoon. Journey time is approximately 1 hour. Note: this bus is seasonal and only operates while the STF huts are open. This is typically late June to late September. Daily train departures from Kiruna and Narvik, Norway, run year round to Abisko, including the night train from/to Stockholm (via Kiruna). Bus number 91 runs seasonally between Kiruna and Narvik, with morning and afternoon departures. Depending on when you would otherwise arrive in Kiruna, it can be a convenient option to catch the night train from Stockholm/Arlanda, arriving in Abisko the following day around noon. Gällivare is the main transport hub to Saltoluokta (Kebnats) and Vakkotavare. Next Jet airlines operates a daily flight from/to Stockholm. However, if traveling from outside of Sweden, your likely only option will be an evening flight from Stockholm, requiring an overnight in Gällivare before further bus connection in the morning. The night train from Stockholm arrives in Gällivare in the early morning. The train meets with the further bus connection, making this the most convenient option if traveling from outside of Sweden. Bus number 93 meets with the arrival of the train from Stockholm during the season and will then take you to Saltoluokta (Kebnats) and Vakkotavare. Reaching or departing Kvikkjokk can take a bit of effort. Depending on where you are arriving from or heading to, there might be no convenient option. If traveling from outside of Sweden, taking the night train from Stockholm to Murjek will likely be the best option. Bus number 94 runs daily between the night train at Murjek and Kvikkjokk during the season. Bus number 43 connects the train at Murjek to Jokkmokk. Bus number 47 connects Jokkmokk and Kvikkjokk. Ammarnäs and Hemavan are the start and finish points of the southern Kungsleden. Both are relatively isolated, small mountain villages located in Västerbotten country, just below the arctic circle in Swedish Lapland. No direct transport is available from outside of Sweden, with transit via Stockholm combined with a transit point further north required. Reaching either destination will generally take a full day of travel from outside of Sweden, and will likely require an overnight in Stockholm on your return journey. From Stockholm, flying will save you about 4 hours over ground transport, but either way, you’re looking at a full day of travel, somewhere between 10-14 hours. Leaving Stockholm with a night train to a northern location, followed by transfers to buses the following morning, is probably the most efficient way to reach Ammarnäs. If flying north, be aware that not all local flights will meet with further transport to Ammarnäs at a convenient time. Arvidsjaur is the nearest airport to Ammarnäs, with weekly flights from Stockholm operated by Next Jet airlines. Further transit by bus required. Lycksele is another airport, with weekly flights from Stockholm operated by Next Jet airlines. Further transit by bus required. Umeå (UME) airport, on the coast, is served by SAS airlines, which might be a more convenient option as a more central location to Hemavan on your return. Further transit by bus required. Ryanair occasionally operates direct flights from London Stansted to Skellefteå. Further transit by bus required. There is no train connection to Ammarnäs. From Stockholm, transfer to a regional bus will be required via Umeå or Östersund. No matter where you originate, a series of buses will likely be required, even if flying from Stockholm to one of the nearby airports. Sorsele will be your last bus transfer point before Ammarnäs. There are a multitude of semi-complex train and bus combinations which can be used to reach Hemavan. Flying is the most efficient access to Hemavan, with a quick 2+ hour flight from Stockholm. With ground transportation, you are looking at a minimum of a 14 hour journey from Stockholm. Hemavan airport (HMV) is located just a short walk from the center of the village. Next Jet airlines runs year round flights to/from Stockholm Arlanda. Umeå (UME) airport, on the coast, is served by SAS airlines, which might be a more convenient option as a more central location to Ammarnäs if you want to book a round trip. Further transit by bus required. There is no train connection to Hemavan. From Stockholm, transfer to bus will be required via Umeå or Östersund. Länstrafiken Västerbotten Bus 31 has daily departures between Hemavan and Umeå. Lapplandspilen operates a night bus directly to/from Stockholm several days a week.